After a week of temperatures in the high 30s it was no wonder that we were joined by a steady stream of traffic down the Clyde on Friday afternoon. Our 5 o’clock departure meant that there were the usual number of idiots on the road, breaking their necks to get to the Bay in under 2 hours. Safely arrived at sea level it was a relief to smell the salt air again and and feel the sea breeze. 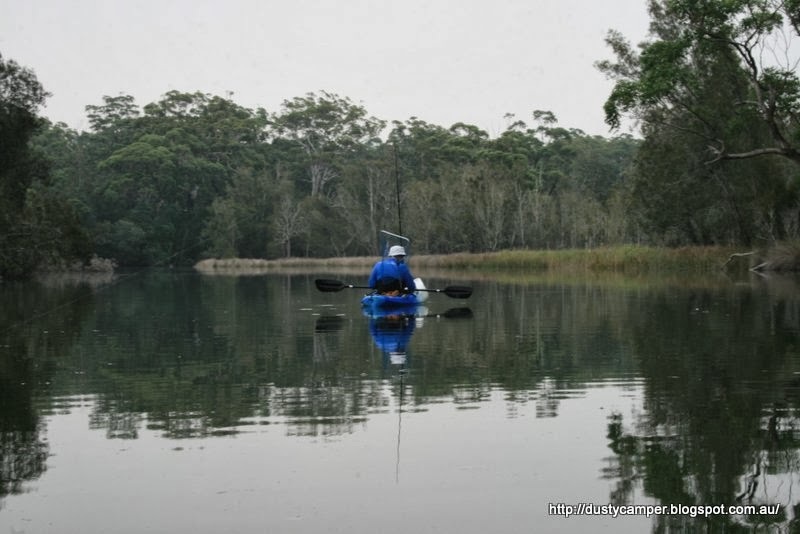 Over the next few trips we are going to paddle some of the lesser known waterways of the south coast. 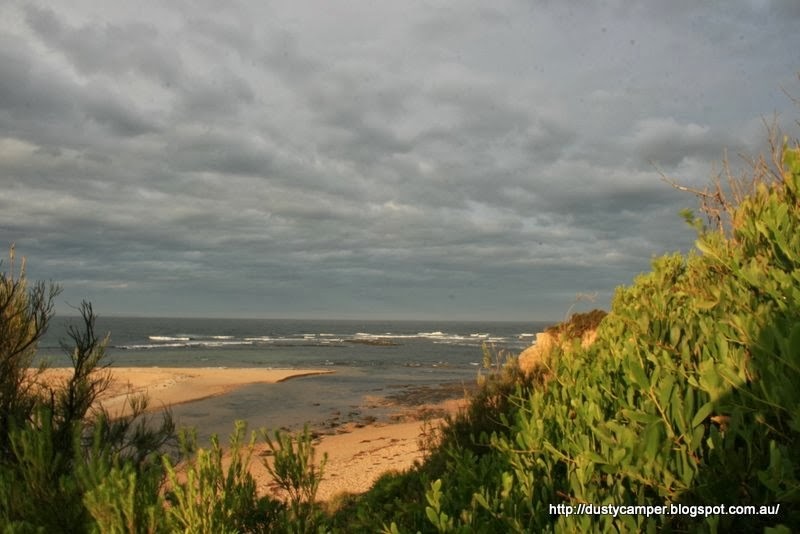 This weekend our destination is Congo Creek, a small waterway accessed via South Head Road south of Moruya Heads. 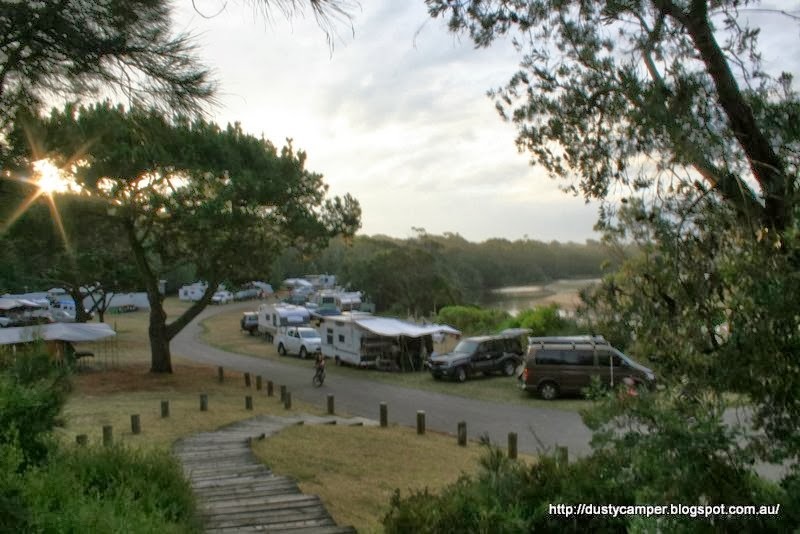 We camped at the very popular National Parks campground, and were lucky to get the last site on the foreshore. 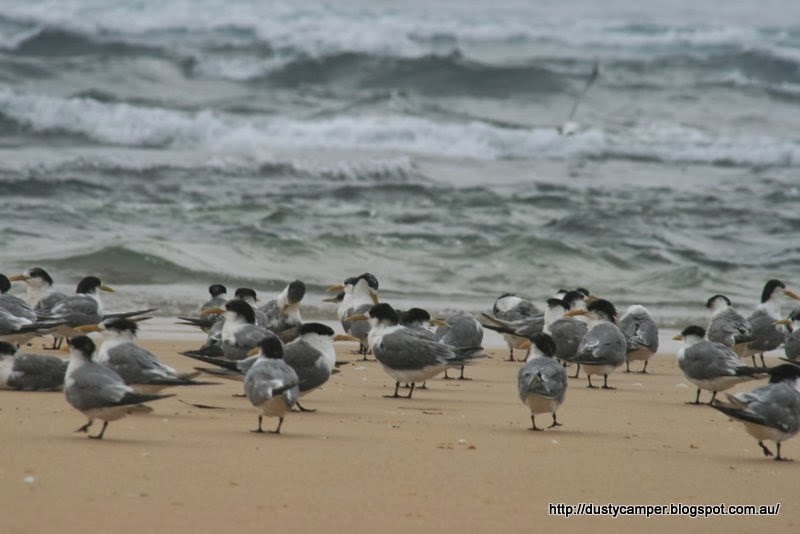 The paddle up the creek from the beach takes about 50 minutes, with a few stops to look at the wide variety of bird-life. 36 species were counted for the weekend, with the highlight being a Lewin’s Honeyeater and a Spotted Pardalote, birds that I have not encountered in this area before. As well as a Lyrebird scuttling off the Kings Highway at the top of the Clyde on Sunday afternoon. In February 2013 Congo Creek was the site of a large fish kill http://www.naroomanewsonline.com.au/story/1345208/fish-kill-at-congo-creek-due-to-low-oxygen-gallery/ The creek is on the way to recovering, with a few lucky fishermen (not us) bagging a nice flathead and bream. 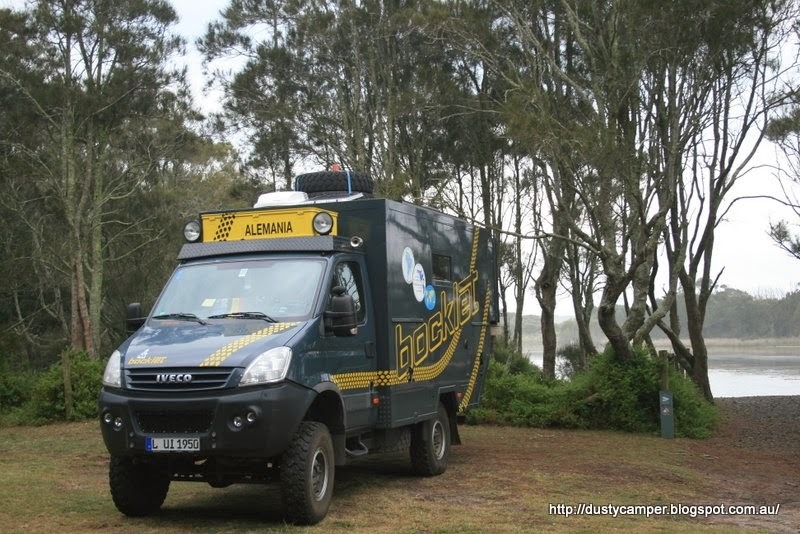 On Saturday afternoon we were joined by a delightful couple from the UK driving a Bocklet Expedition Camper. They had driven overland through Europe to Asia via Pakestan and down through Indonesia via Timor Leste to Darwin. There was a gathering of campervan nuts like me queueing for a peek inside and to hear their stories. The Bocklet was a late arrival and had to park at the boat ramp on Congo Creek.